According to the World Health Organization, nearly 830 women die every day from preventable causes related to pregnancy and childbirth. Many times, this is due to the lack of training and lifesaving equipment which is so readily available in developed countries. Lack of proper sanitation is indeed another major cause of child mortality across the globe due to infectious diseases. Yet, even in the United States we see a need for improvement as we have the highest rate of maternal deaths among developed countries with a rate nearly 3 times that of the next closest nation. 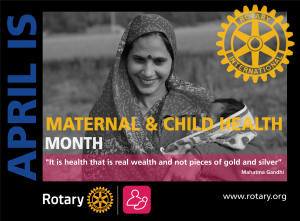 In the month of April dedicated to maternal and child health we reflect on the many efforts that Rotarians and Rotary International have been involved in to remedy this situation. Locally, the Rotary clubs in Columbia have supported projects such as sending a Vocational Training Team to the country of Georgia to provide supplies and training in emergency newborn care. Teaching these simple procedures can help save many lives in a country with one of the highest infant mortality rates in the world. 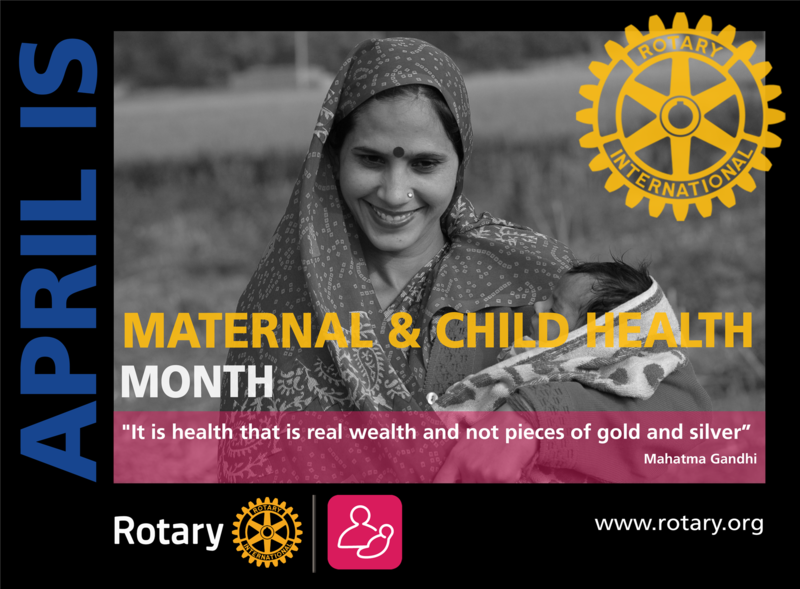 Find out more about what Rotarians are doing in this and other areas of service by joining a Rotary Action Group in My Rotary or exploring the Rotary Service Connections blog at https://rotaryserviceblog.org/.